My lovely friend Nicole and I are both members of our local art gallery. While we were there, we got to talking about what I’d been cooking lately. I told her all about Ashley’s Fatayer, and about our new breakfast favourite (a variation on my Huevos Mildred, recipe coming soon). We got so excited about breakfast and brunch ideas, that we immediately planned a brunch date. The morning that Nicole came over for brunch, I thought it might be a nice idea to also make something sweet. And so I came up with these muffins. The idea of coffee butter has been following me around lately (first I read about Richard Blais’ recipe on Runner’s World, and then heard about it on a Good Food podcast). It just seems so perfectly delicious — I mean, coffee + butter has to be delicious, right? 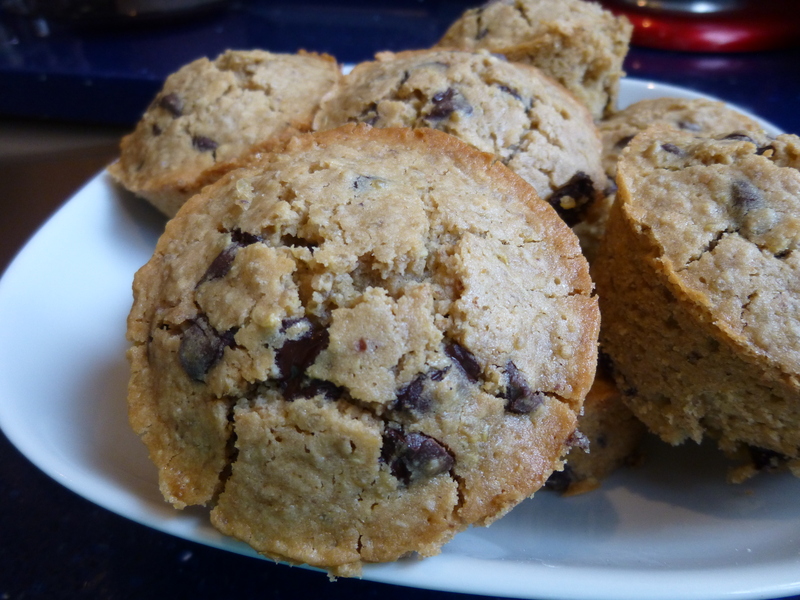 So I thought I’d combine coffee and butter in these muffins, along with a bit of cooked quinoa, and some chocolate chips to make them perfectly decadent. 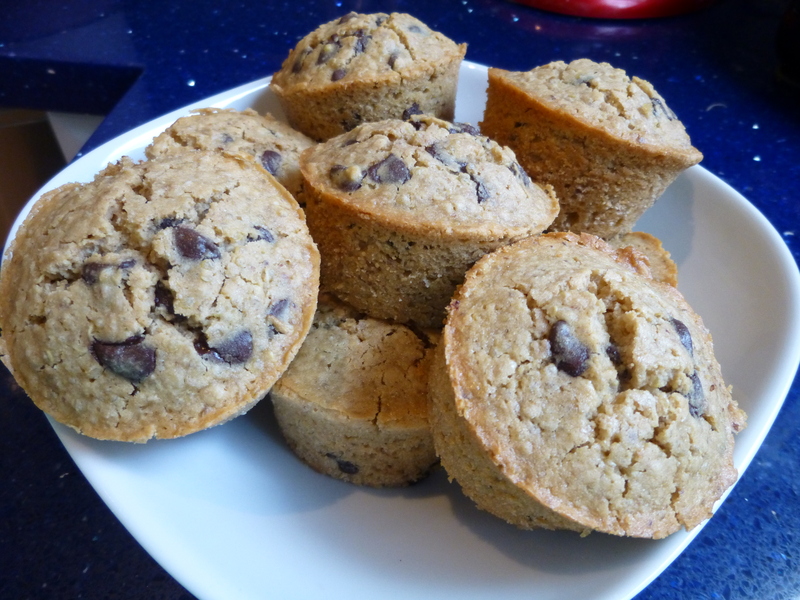 Cappuccino Quinoa Muffins? Yes, please. 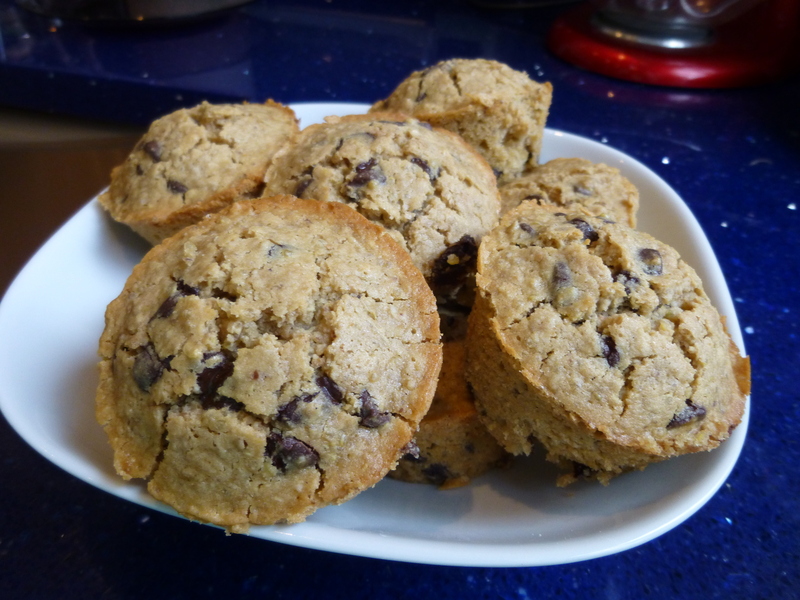 I think this is my favourite gluten-free muffin recipe yet. They’re moist and fluffy, and just the right amount of sweet. 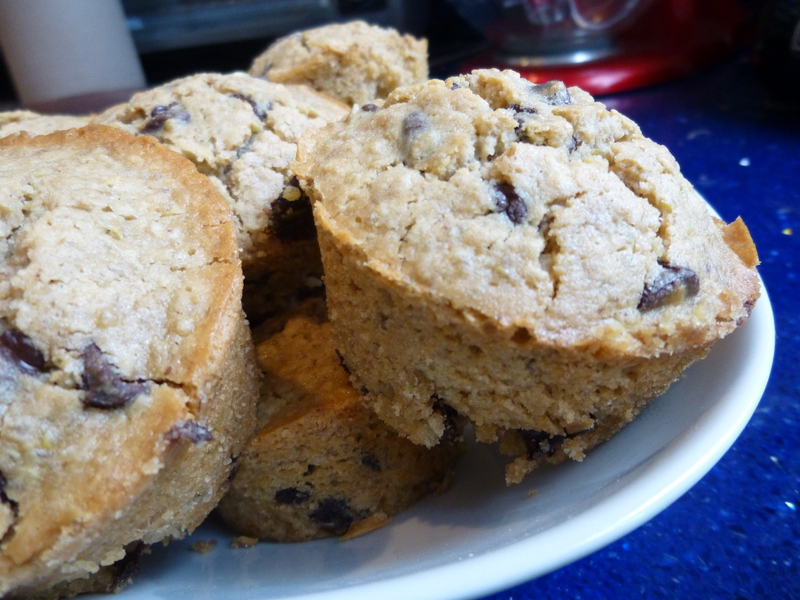 So next time you have a brunch date, may I suggest a batch of these muffins? Preheat oven to 350F, and grease a muffin tin with butter or coconut oil. In a large bowl whisk together dry ingredients: quinoa flour, oats, sugar, salt, baking powder, and ground flax. In a separate bowl, combine wet ingredients: cooked quinoa, egg, coconut milk, butter, espresso, and vanilla extract. Add the wet mixture to the dry mixture, and combine thoroughly with a spatula. Stir in the chocolate chips. Distribute the batter evenly amongst the twelve muffin cups. Bake at 350F for 20-22 minutes, until golden brown and a knife inserted into the centre comes out clean. Let cool in the muffin tin for five minutes, then turn out onto a wire rack to cool completely. Eat warm, or at room temperature with brunch friends.